We’re on to next part of the PNW Foodie Road Trip, Enumclaw to Union Gap. Our day started in lovely Enumclaw after a great night’s sleep in Guest House International. We woke up refreshed and ready to roll, and roll we did. We packed up and headed out after a quick bite to eat in the hotel. We met Julie of Visit Enumclaw after breakfast, who’d lined up a few farm tours for us. First out of the gate was Mason Jar Farm run by Jennie. 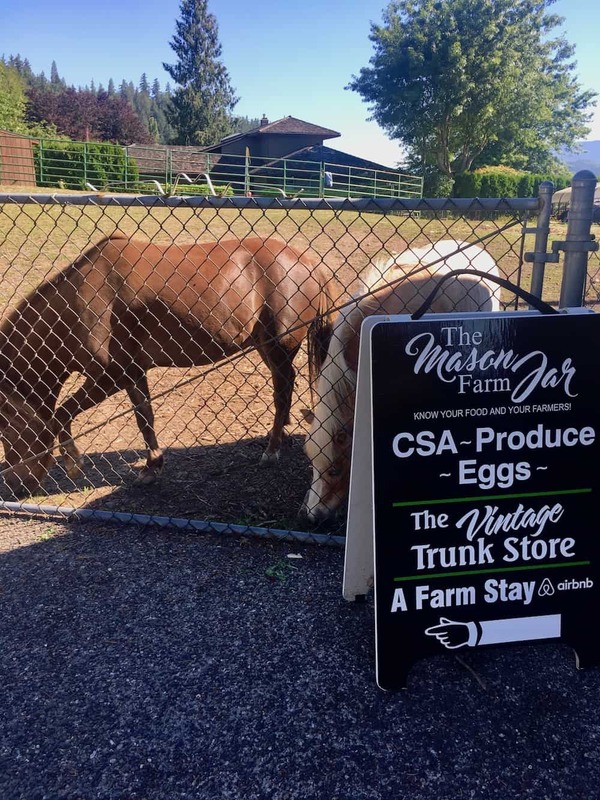 Mason Jar Farm has a CSA, a produce stand, hosts a preschool on their property and has rooms to rent. The farm is home to large raised bed gardens, chickens, a TeePee, and gorgeous views of Mt. Rainier. 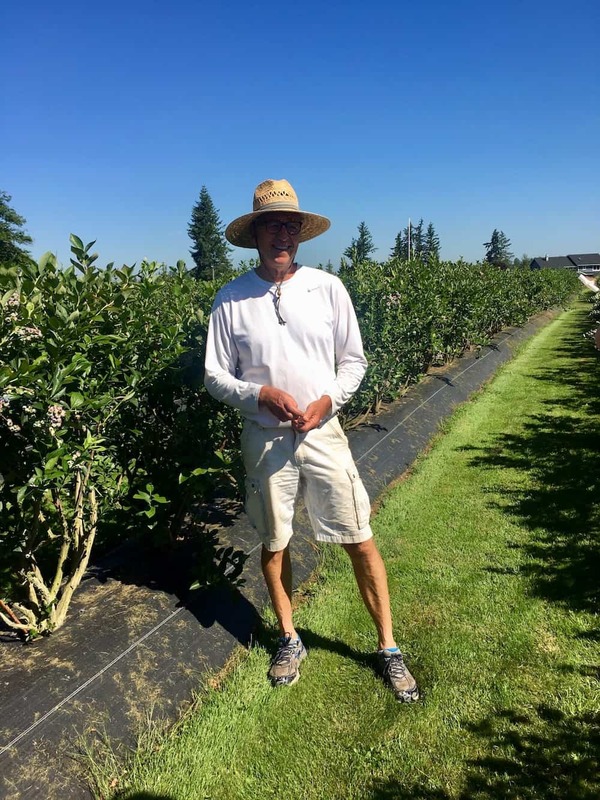 Then it was off the Rusty Plow Farm, a gorgeous blueberry farm just outside of Enumclaw. There we were met by the owner Dave White who took us on a tour of the farm. 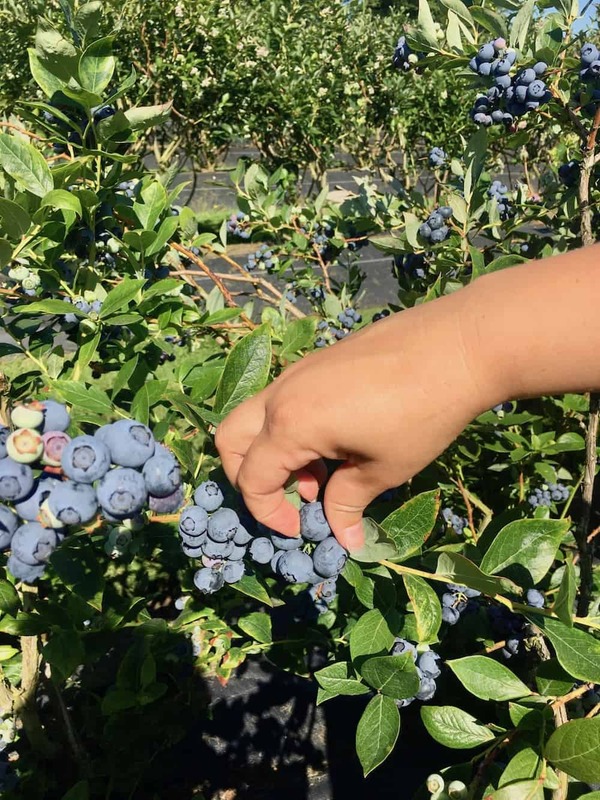 I never knew SO many different kinds of blueberries existed, enough to extend their harvest season for two full months. We were lucky enough to get to sample every variety even though the farm was closed that day to berry picking. After we finished up at the Rusty Plow, we bid Julie of Visit Enumclaw a fond farewell and headed for Union Gap, about 115 miles to the south-east. Little did we know what kind of drive THAT would be! We started well enough as we climbed up out of Enumclaw and stopped for a quick minute for coffee. If I had known the pass we were about to drive through I’d have skipped that dirty chai and ordered a quad espresso shot. Of course, that might not have been the best bet for a white-knuckle drive through Chinook Pass. Chinook Pass used to be called the Peaches, and Cream Highway, peaches from Union Gap and cream from Enumclaw made their way through this pass in the past. I don’t know how ANY big rigs make it through this pass.  I’m from Alaska, I’m used to sheer cliffs, no guard rails, and white-knuckle driving, but this even scared me. I quickly moved beyond being scared into being amazed by the abundant, gorgeous scenery that surrounded me. Soaring spruces, rushing rivers, cliffs, Mt. Rainier, all of it was amazing. My friend Heather kept saying “oh I think we’re at the top now” but we weren’t. I think she was saying that to make me feel better as I attempted to negotiate no guardrails and sheer drop-offs with oncoming traffic. In the end, the views made up for terrifying parts of the drive. And once we did make it to the top, we stopped for a quick picture of Mt. Rainier and the pass. After that, we quickly slipped down the eastern side and right into Yakima and then Union Gap. Our first stop in Union Gap was to meet Eric Patrick of Visit Union Gap at Los Hernandez, a James Beard award-winning restaurant If you like tamales, Los Hernandez is worth the drive from just about anywhere. I sampled a handmade pork tamale and a new-to-me corn and Monterey jack tamale. 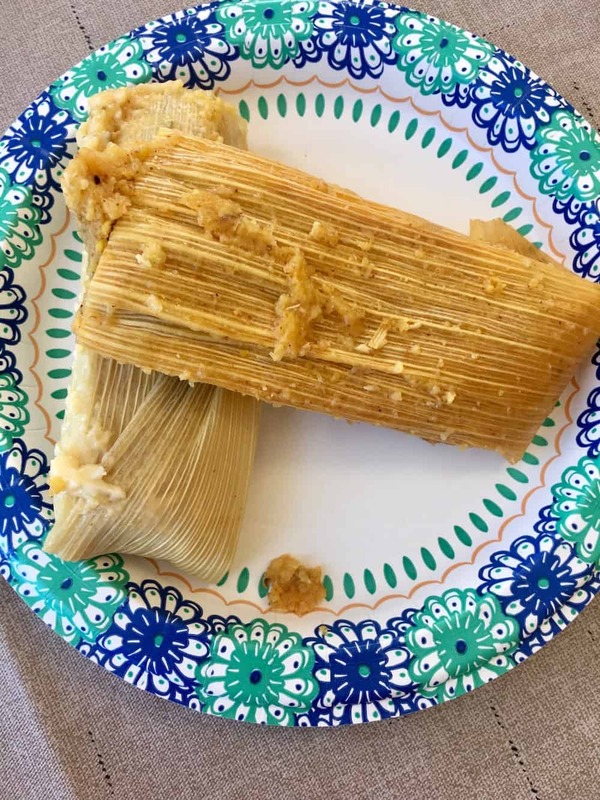 I’ve had good tamales before, and these put all of them to shame. It’s because they make them all, start to finish, including the masa, themselves. Then we all jumped in Eric’s truck for a drive through the Gap, yes there is a GAP in Union Gap. We stopped at a couple of orchards where we sampled fresh off the tree apricots. 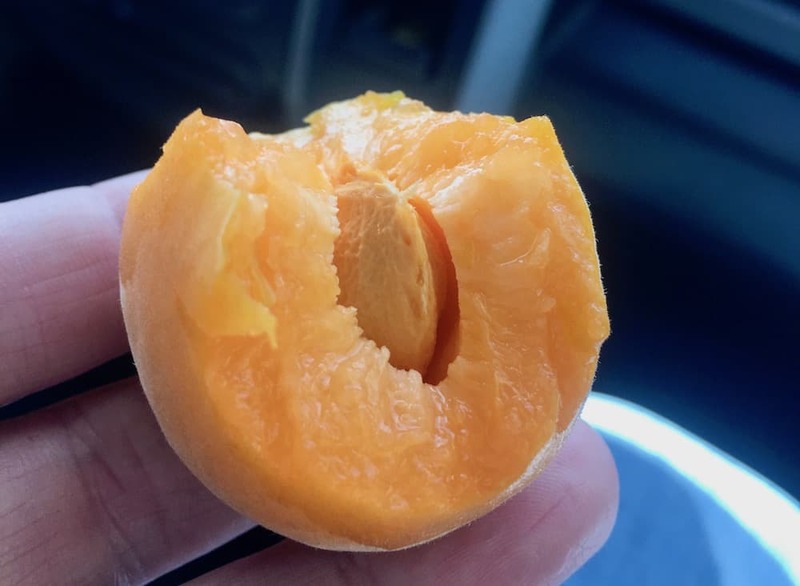 I’d never had one, and now I’m forever going to be looking for that warm off the tree, ripe apricot! 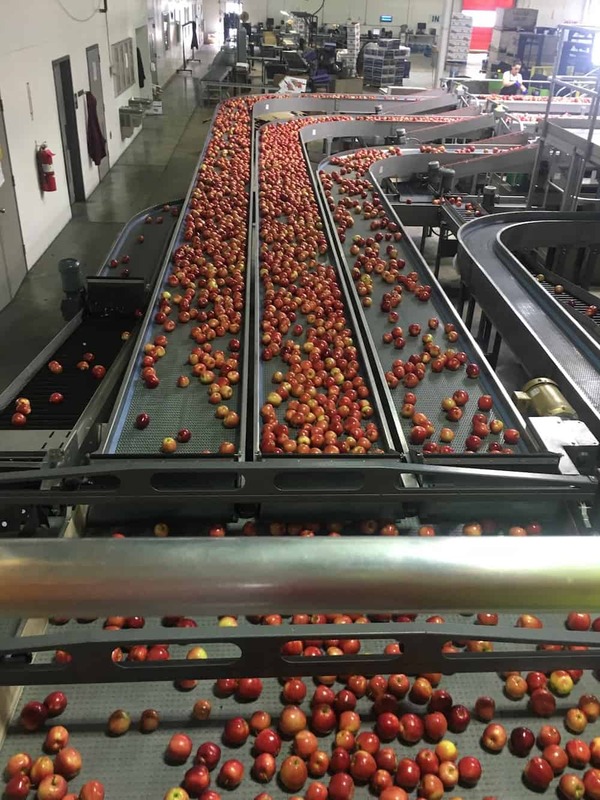 We also went to Legacy Fruit’s apple and cherry packing houses where we toured a cherry packing building and an apple packing building. It was so intriguing to see HOW these buildings work and how different they are. Apples are relatively hardy, and while they need to handled gently, they are nothing like cherries. 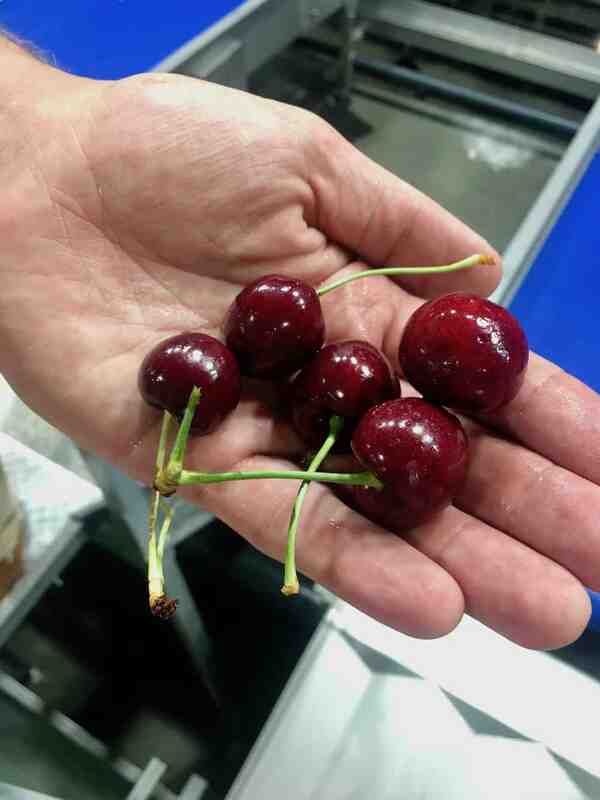 Cherries must get picked when its cool, like in the early morning. And they must be cooled quickly and kept chilled; they even have water misters where the cherries get unloaded from the orchard. It helps ensure a quality cherry! The packing lines in both houses were amazing I’d never seen any automation like that in my life, it’s something I’ll always remember. For dinner, we went Xochimilco a traditional Mexican Restaurant in Union Gap. If you ever get the chance make sure you stop in. 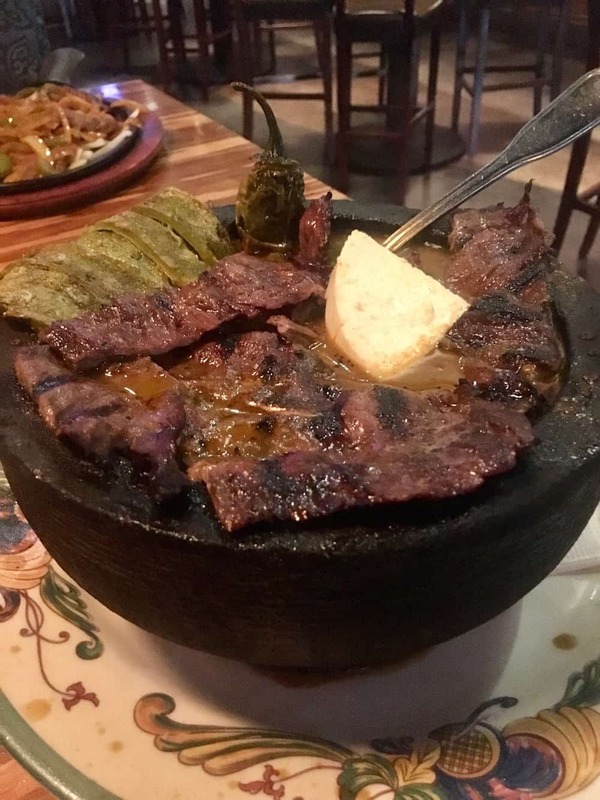 I got a hot pot with roasted peppers, prickly pear cactus, beef, and onions all served in a traditional hot stone bowl. We also had fun fruity margaritas and queso fundido with chips; we were happy and well fed that night! Union Gap Washington was just what we needed after making it through Chinook Pass. Do you think two food bloggers, with no real plan, can make dinner in a Best Western Suite with a small hotel sized kitchen? You find out by coming back and reading my next post, Day 3 Union Gap Day. Which starts with a pretty outstanding breakfast at the Best Western Ahtanum, and includes a stop at the Central Washington Ag Museum, fruit stands, a brewery, bubble tea and ends with Heather and me ad-libbing dinner in a kitchen we’d never used before LIVE on Facebook. Ahh! You got to live one of my dreams! (I really want to do a food tour road trip along with hiking/visiting national/state parks across the US as well as a PNW one! *-*) Those photos are gorgeous and now I’m really craving fresh fruit, hahaha. Looking forward to reading more about your adventure! 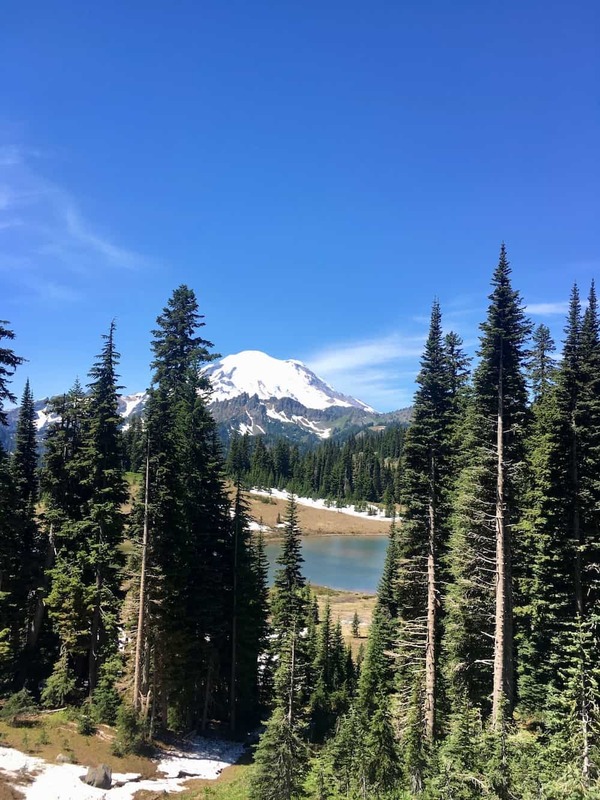 This trip was one of my favorite parts of blogging–a girls road trip!! With food and National Parks!